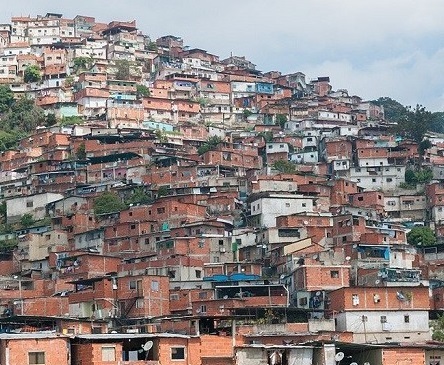 Brazil’s housing market continues to struggle, despite improving economic conditions. In Sao Paulo, house prices fell by 2.52% during the year to Q3 2018, from annual declines of 2.38% in Q2 2018, 1.11% in Q1 2018, 1.5% in Q4 2017 and 1.13% in Q3 2017. On a quarterly basis, house prices in Sao Paulo fell by 0.35% in Q3 2018. The crisis started in 2013 when the central bank raised key interest rates nine times to 11% in April 2014, causing a sharp economic slowdown. In 2016, President Dilma Rousseff has been impeached, the speaker of the house has been jailed, five Cabinet ministers have been removed or allowed to step down because of allegations of corruption. Brazil's new president, Michel Temer, is embroiled in a corruption scandal. Worse, another massive bribery scandal, involving Brazilian construction giant Odebrecht, disrupted politics, not just in Brazil, but in more than half of the countries in Latin America, as well as in Angola and Mozambique in Africa. Odebrecht is behind the construction of venues for the 2014 World Cup, the 2016 Olympics, the metro systems in Caracas, and other huge infrastructure projects. The crisis helped right-wing candidate and retired army officer Jair Bolsonaro sweep to victory during the October 2018 presidential election on a populist, anticorruption platform. In Q3, 2018, Brazil’s unemployment dropped to 11.9%, from 12.4% in Q2 2018 and 13.1% in Q1 2018. Nationwide unemployment rose to a five-year high of 12.7% in 2017, according to the government’s statistics agency IBGE. Rio apartments costs are around $4,370 per sq. m.
Sao Paolo $524,400 n.a. n.a. Rio de Janeiro $709,200 n.a. n.a. Recent news. After a two-year recession, Brazil’s economic activity rose by 1% in 2017 from a year earlier, according to the Central Bank of Brazil. In Q3 2018, the economy expanded by 0.8% from the previous quarter and by 1.3% from a year earlier, despite a nationwide truckers’ strike, according to the government’s statistics agency, IBGE. The economy is expected to expand by 1.4% this year and by another 2.4% in 2019, according to the IMF.